•Wipe clean with a damp cloth, lay flat to dry. Do not iron. 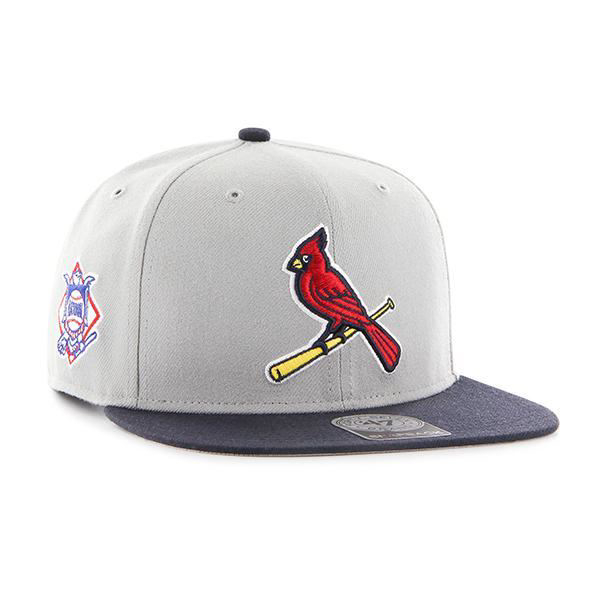 Spice up your collection of headwear with this Men's St. Louis Cardinals '47 Grey/Black Script Sure Shot Snapback Adjustable Hat from '47. This hat is the perfect way to pay homage to the greatest team there has ever been. Let's go, St. Louis Cardinals!